I have a confession: I love looking at reading programs. I majored in linguistics in college, and I'm fascinated with the way language works. My passion is child language acquisition, and when I graduated from college, I had dreams of studying it and being a speech language pathologist. I met my husband, got married, and had three beautiful children instead of attending graduate school, and this plan has been infinitely better than my original one. I haven't lost my fascination with language and how it's acquired, though. The tactile cards are similar to Montessori sandpaper letters (they also have sandpaper letter cards). I love them, because they allow a child to trace the shape of each stroke and letter, which I believe is an invaluable tool when they are learning to write. Isaac, in particular of my three, has a difficult time with handwriting. This is one area (among so many) that has brought home to me the differences between boys and girls. The program starts with some lessons about how sounds are made, and Isaac and I learned about voiced and unvoiced consonants, as well as nasal consonants. It made my linguist's heart so happy! It was fun, too, feeling our voice boxes as we learned about voiced/unvoiced, and plugging our noses to test if we were saying nasal consonants. The lessons are kept nice and short. Isaac and I worked on one lesson a day. Each contains a section on phonemic awareness and handwriting, with suggestions for games and multi-sensory activities. We began with oral work, and there were 2 workbook pages for each lesson (very simple and not overwhelming, and not just busywork). Isaac loved the games that allowed him to correct my "errors." One of the things he got to do was practice the handwriting strokes on the nifty whiteboard. The teacher's book suggested having the student put a star next to their best work; Isaac preferred to draw crowns. I don't know if you can see his on the furthest one in the picture - he made me giggle. The whiteboard is worth every penny. It's got one big line on one side, as you see in the picture above, and 5 smaller lines on the back. Isaac loves whiteboards, and it's fairly easy to get him to agree to do his work when there's one involved. It's also great when one doesn't make one's strokes neatly the first time - quick erasing. 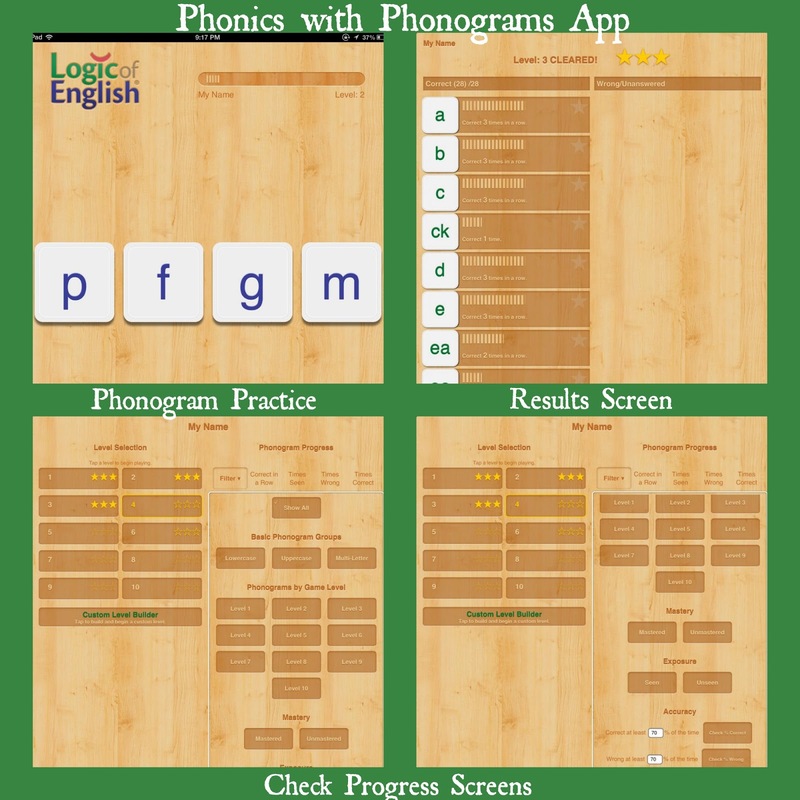 The app is great way to practice memorizing the phonograms. 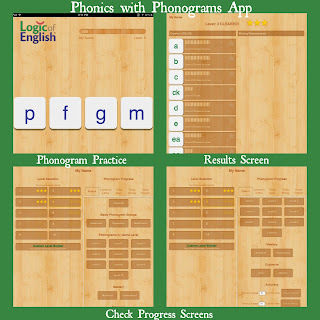 It starts out simply, with the first phonograms learned, and progresses in difficulty with each level. The phonograms are pronounced clearly and are easy to understand. I was happy to hear that as we used the app, because we've had issues with other apps sounding muddled, making it difficult to choose the correct answer. On the handwriting practice pages, I would love to see some strokes and letters for a child to trace before asking them to write them freehand. I am not sure if my girls would have struggled like Isaac does with handwriting, but it was frustrating for him to try to make the strokes and have to re-do them. I think having some dotted ones to trace would have helped him. That's the only suggestion for improvement I have! As a teacher, I love that this program is open-and-go. The lessons are scripted, which is great if you don't feel confident teaching on your own. To be honest, Isaac is the first child I've had to teach to read from the beginning. The girls knew all their letters and sounds from preschool and were interested in reading. Isaac knew most of his letters and sounds from preschool, but has not been interested, so we're basically starting from scratch. I'm not afraid of not being able to teach him, but I like having this clear, simple guide to use. You can see the scope and sequence here for Level A. The only two things that are required are the Teacher's Manual and Student Workbook, but the extras are wonderful to have, especially the whiteboard, cursive reference and tactile cards. 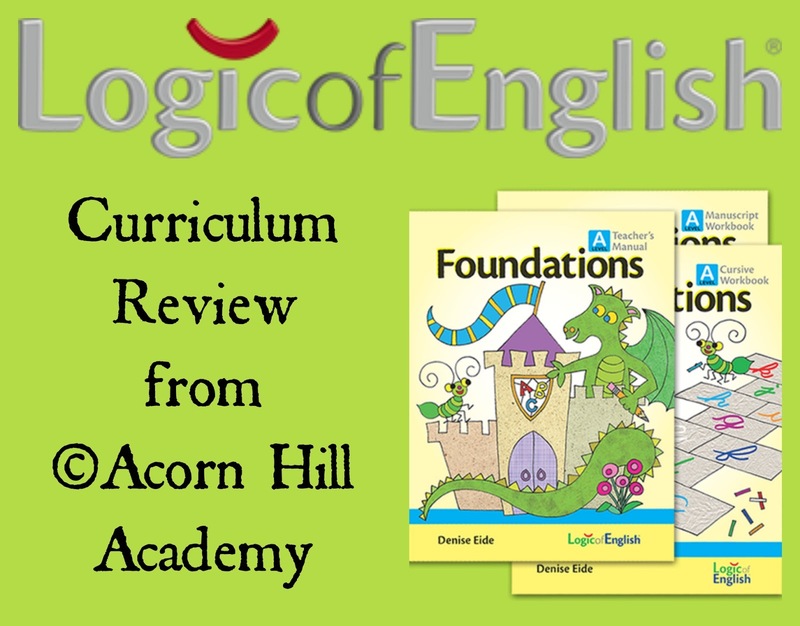 If you're looking for a fun reading program, or just need a change, or need some help, I hope you'll check out Logic of English. 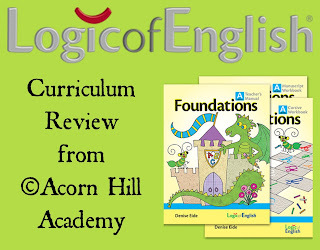 All items are available from the Logic of English store.